Where do I go to find out, or does anyone know, if a Physician Assistant can perform CPT 76942, Ultrasonic guidance for needle placement, imaging supervision and interpretation? We are an orthopedic practice in Illinois with two MD's and two PA's. I am thinking this is based on the credentialing for your clinic. Many states accept PA as totally priviledged and has the same abilities as physicians. 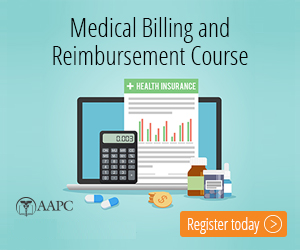 According to the Medicare guidelines reimbursement is acquired when the services provided are within the scope of the provider's license and the services are deemed medically necessary. So if I were you I would contact the insurance company and find out what their guidelines are for coverage on this procedure. I am a rookie so I really dont know, I just googled the code and this is what was provided. I hope this helps you in some way. In my experience this is related to credentialing but also may be insurance specific. For example, in CT, Medicaid does NOT credential PAs at all but they do credential APRNs. Call the insurance company for that patient and ask about PA credentialing. You may need ask if it was denied as not credentialed for ultrasound as part of radiology. Certain insurances require non-radiiology specialist credentialing in addition to the standard provider credentialing. For assists there are often modifiers (AS,81,82) specific to the insurance, and also for certain surgical assists, a PA bills only 20% compared to the full cost of a 2nd surgeon.